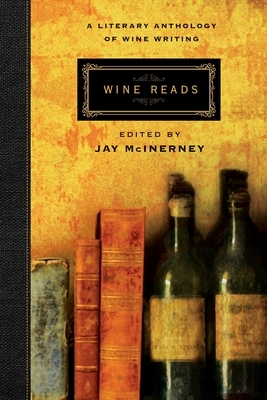 In this richly literary anthology, Jay McInerney--bestselling novelist and acclaimed wine columnist for Town & Country, Wall Street Journal, and House and Garden--selects over twenty pieces of memorable fiction and nonfiction about the making, selling, and of course, drinking of fine wine. Including excerpts from novels, short fiction, memoir, and narrative nonfiction, Wine Reads features big names in the trade and literary heavyweights alike. We follow Kermit Lynch to the Northern Rh ne in a chapter from his classic Adventures on the Wine Route. In an excerpt from Between Meals, long-time New Yorker writer A. J. Liebling raises feeding and imbibing on a budget in Paris into something of an art form--and discovers a very good ros from just west of the Rhone. Michael Dibdin's fictional Venetian detective Aurelio Zen gets a lesson in Barolo, Barbaresco, and Brunello vintages from an eccentric celebrity. In real life, and over half a century ago, Jewish-Czech writer and gourmet Joseph Wechsberg visits the medieval Ch teau d'Yquem to sample different years of the "roi des vins" alongside a French connoisseur who had his first taste of wine at age four. Also showcasing an iconic scene from Rex Pickett's Sideways and work by Jancis Robinson, Benjamin Wallace, and McInerney himself, this is an essential volume for any disciple of Bacchus.